McDonald, O'Donnell, Broadfoot, Greer, Findlay. McKenzie, (Erwin 74), Power, Taylor, Jones. K Boyd, Burke, (Frizzell 55). Subs Not Used: Bell, Thomas, S Boyd, Watters, Brophy. 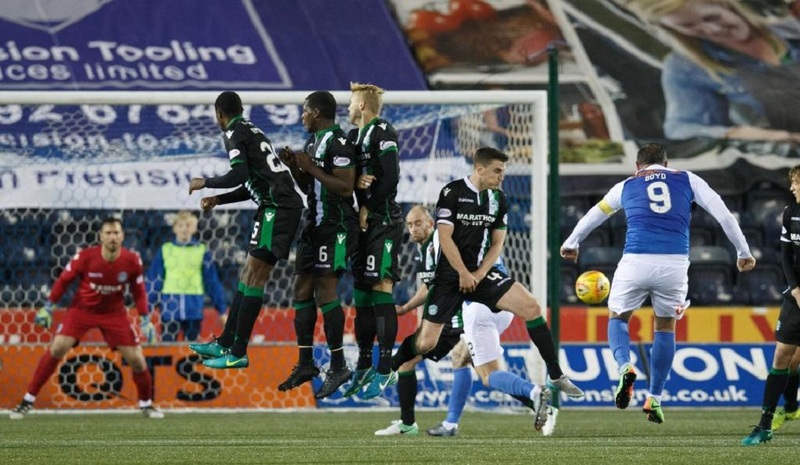 Hibernian moved up to third in the Scottish Premiership with a third straight win against Kilmarnock. John McGinn headed in David Gray's cross to give Hibs an early lead and Gray then nodded against the post. 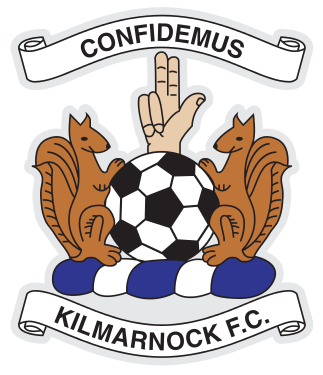 Killie came close to levelling with Rory McKenzie and Kris Boyd hitting the frame and Jordan Jones was denied by goalkeeper Ofir Marciano. Gray set up Simon Murray to convert Hibs' second and Martin Boyle netted a late third. 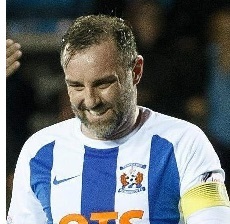 Kilmarnock fans to their credit crowd stayed until the end to show their appreciation by clapping the team off the field, recognising the players had given their all for the cause. 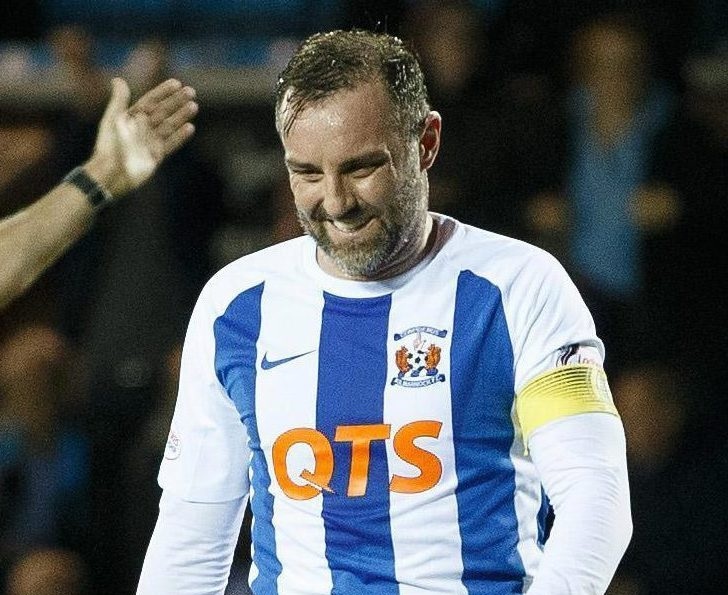 Steve Clarke's first defeat as Kilmarnock boss means they remain second bottom of the table, level on points with Dundee but with a better goal difference. Steve Clarke: "I thought we started really slowly and I think that was a consequence of two really difficult away games. So we expended a lot of effort to get two good points. We allowed Hibs to get in front and from there it was always going to be a difficult night for us. Credit to the players they knuckled down and got back into the game. Kris had a header that came back off the crossbar and that would have made a difference to the game. "And we had a great chance early in the second half and if we get the game back to 1-1 I think we would have got something from it. I thought the crowd were absolutely terrific tonight. The fact they stayed until the end, clapped the team off the pitch was just a measure of how hard the lads tried on the pitch. We certainly made some mistakes, the first two goals were very, very poor goals to concede and the third is a consequence of chasing the game to get back in it. The crowd got right behind us, I think they recognised the players gave it everything and we played some good stuff. We had a spell at the end of the first half and beginning of the second where we were by far the better team but we couldn’t get the crucial goal to make it 1-1, which I think would have changed the night". Neil Lennon: "That was a difficult game. We have played better and maybe only won the game 1-0. I thought Kilmarnock deserved to score. 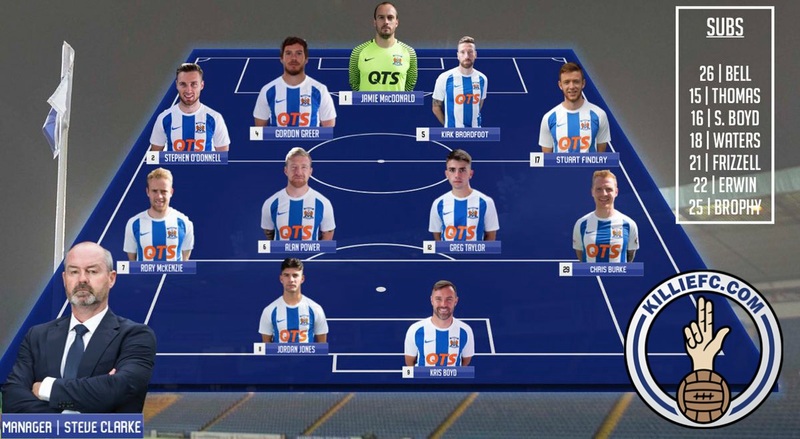 Maybe 3-0 flattered us Killie have players, like Jordan Jones and Adam Frizzell and Kris is always a threat up front. It was clear they have a spring in their step"